Database Systems Corp. (DSC) is a leading provider of automated call center phone systems and outsourcing services including auto call dialing systems. Our auto dialers broadcast pre-recorded phone messages to hundreds or thousands of call recipients at once. This technology has both commercial and community applications. Business messages can be sent to your customers or emergency notifications can be delivered to community members. Messages can be delivered to both individuals and answering machines. If our voice broadcasting system detects a no answer condition or busy signal, the message can be scheduled for delivery at a later time. Complete online reports are available to view the effective delivery of messages in this fashion. 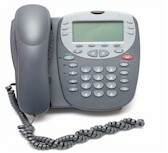 DSC offers both an affordable and expandable voice broadcast auto dialer system. This solution includes a modern Windows PC with Dialogic computer telephony cards. When combined with our extensive IVR software, these phone systems can perform both inbound call distribution as well as outbound IVR call campaigns - concurrently. The WIZARD Voice Broadcast system is our entry level call center phone system that supports up to 48 analog phone lines. If your outbound calling center requires more lines, our PACER voice broadcast system can be used to deliver voice messages over hundreds of digital phone lines. Our telemarketing phone system not only can detect answering machines but has the distinct ability to leave a pre-recorded message on this machine without the nuisance of truncating the delivered message. Statistics have shown that an individual is 2 to 3 times more likely to respond to a message left on an answering machine than to respond to a mass mailer. Our telemarketing dialer calls numbers from a computer managed phone list. The DSC autodialer delivers messages to individuals or answering machines or can distribute the calls to live operators. There are several types of autodialing techniques that are supported by our contact center phone systems. 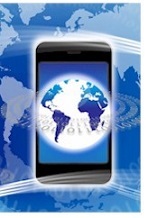 Voice Broadcasting delivers a pre-recorded message to live answers and answering machines. If another call status is detected (busy, etc. ), our phone systems can reschedule the call for a later time. Simple messages can be delivered or the call recipient can be presented with an IVR script that accepts touch phone responses. The remaining telemarketing autodialer techniques are used in conjunction with call center phone agents. These agents are either local to the contact center or can be working from home or in remote locations.